After years of withering criticism about the dearth of women leading creative departments, the industry finally seems to be listening. 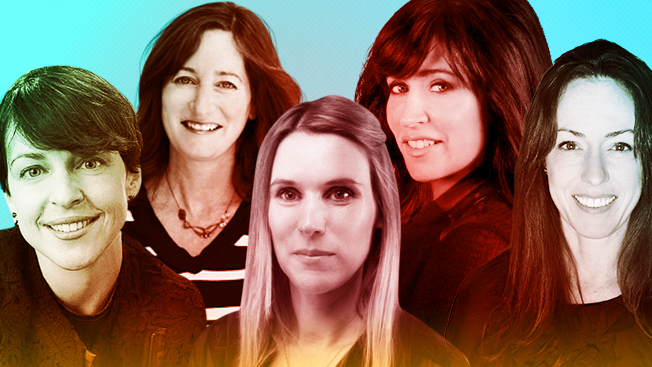 Six women have been named to creative chief positions—at FCB, Young & Rubicam, Wieden + Kennedy, Ogilvy & Mather and Wunderman—in the past six months, with Y&R, for example, recruiting Leslie Sims from McCann Erickson to become chief creative officer in New York and promoting Pam Mufson to co-executive creative director in Chicago. Award show juries also have become more egalitarian, with the Art Directors Club and the Clios mandating that there be an equal number of male and female jurors. Meanwhile, Cannes Lions will have five female jury presidents this year, which represents a third of the total pool. The 3% Conference, whose name reflects the tiny percentage of female creative directors listed in the 2004 Communications Arts Advertising Annual, has seen creative chiefs rise to 11 percent. Agencies acknowledge the imbalance in their upper creative ranks and are trying to address it. DDB in March launched Better by Half, an initiative that seeks to identify and remove obstacles that prevent women from advancing. The goal is to have 50 percent of DDB's creative leaders (cds, ecds, CCOs) be women within five years. Currently, only 10 percent of top creatives inside DDB are female. Mark O'Brien, DDB North American president, said the agency is working on identifying the hurdles that women face. "Barriers are there that we don't see," he noted. "We expect that if we remove the barriers, the rise will happen naturally." The obstacles are many: the lack of mentors, male leaders favoring men's work over that of women and little support for mothers, observed Y&R's Sims and Toni Hess, who became CCO at Wunderman last fall. These issues determine whether women stay and rise or leave. "The emotional pull to have children and families really can't be overlooked," said Hess. "We work in a wonderful, amazing business that is a lot of fun but is incredibly demanding." With more women steering corporate marketing and an influx of millennials at agencies, Sims expects creative departments to evolve and become more amenable to helping women strike a better work-life balance, which in turn will allow them to compete on a level playing field with their male counterparts. "Diversity of any kind on an agency leadership team is a real advantage," Sims explained. "And given that there's such a wide array of clients and even a broader diversity of consumers, making sure you have a mixture of perspective is really important." Industry headhunters predict that the influx of women creative chiefs would grow at a steady clip, given the healthy supply of seasoned midlevel talent. Agencies are "looking for modern leaders," said Debra Sercy of Grace Blue. "And women increasingly are in consideration because they've risen through the ranks, they have proven their ability, they're agile, they're fearless, they're strategic and they're smart."